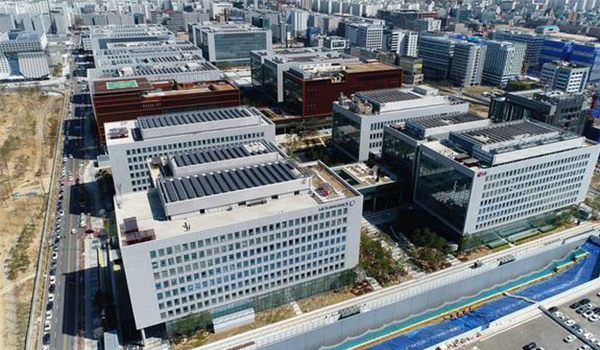 The opening of LG Group’s largest research hub in Korea last month was driven by the power of clustering minds and companies. It will host 17,000 researchers from eight LG group affiliates. It encourages researchers to collaborate by introducing support centre where employees from all eight involved companies can share their projects and ideas. The project cost 3.1 billion euros and the hub’s construction took four years. The research hub is comprised of 20 departments for a total surface area of 1.1 million square meters. The infrastructure hosts testing centre with cutting-edge equipment such as large 3D printing rooms and analysing equipment. Innovation will be triggered by maximising joint projects and collaboration between the eight companies held by LG Group. “We will nurture tens of thousands of creative minds here and create a success model of innovative growth that connects new values by gathering different thoughts and skills,” said Koo Bon-joon, vice chairman of LG Group, at the opening ceremony of the new research centre, quoted in Pulse News. This private initiative echoes other initiatives developed in Korea, such as the development of a bio industry hub in Songdo, and the development of a start-up alliance, revealing a trend for clusterisation, in the country.